Prom dress? Check. Flowers? Check. Bucket of blood? Check! 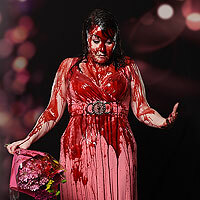 What starts as a pleasant prom queen portrait session rapidly becomes a nightmare once the blood starts to pour! • In this dramatic photoshoot, you will be photographed in your prom dress, with attractive makeup and holding a bunch of flowers. We will shoot real portraits of you as beautiful as possible using authentic beauty lighting techniques. 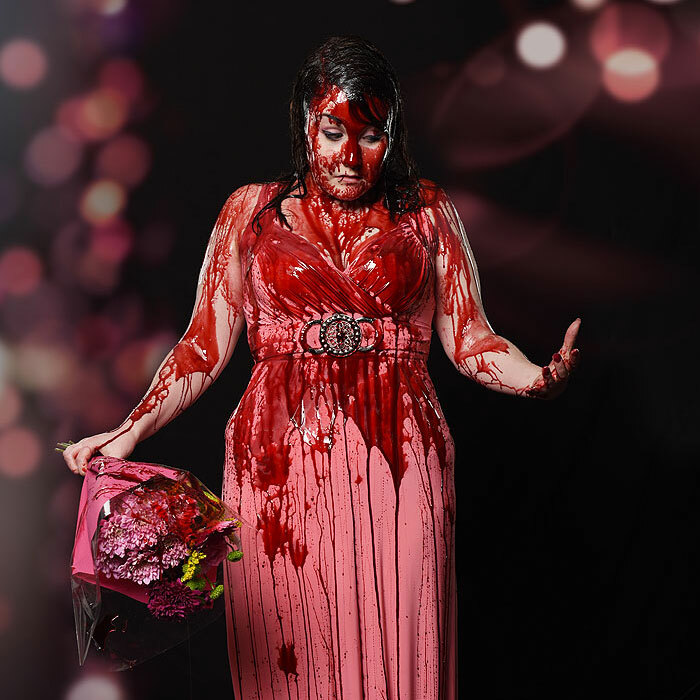 Then we'll completely cover you in fake blood to recreate that famous Carrie moment. • You will be directed by the photographer into poses which will feature a lot of fake blood. 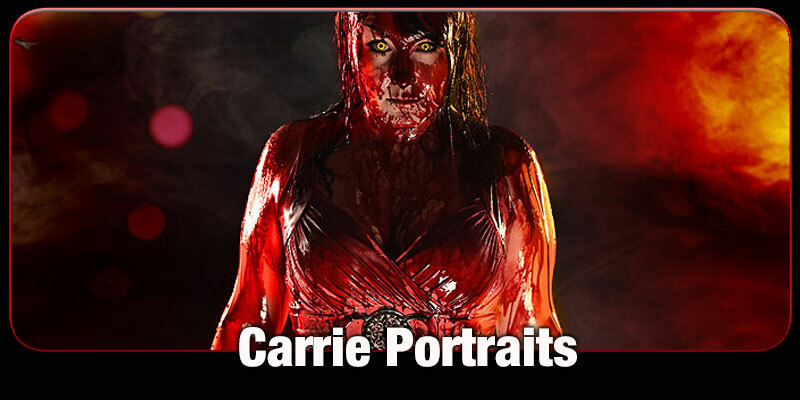 • This is a very bloody portrait photoshoot in which you will become very messy! 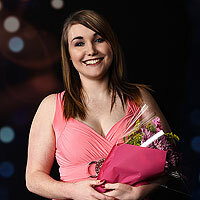 At the start of the shoot you'll look radiant in your prom dress. A look of disgust and fear hits you as the bucket of blood falls from above. Actually, we don't drop the bucket onto you, instead we carefully apply the blood (it's much safer). To end the shoot, you'll go into a state of psychic rage as you cause chaos with your unusual supernatural abilities. • A prom dress. These can be purchased fairly cheaply on Ebay. It's best to use white or pale pink but you can choose different colours if you wish. Just please avoid dark colours or reds or the blood won't show up. You can also bring a tiara (optional). • We don't offer beauty makeovers so you will need to bring your own beauty makeup. 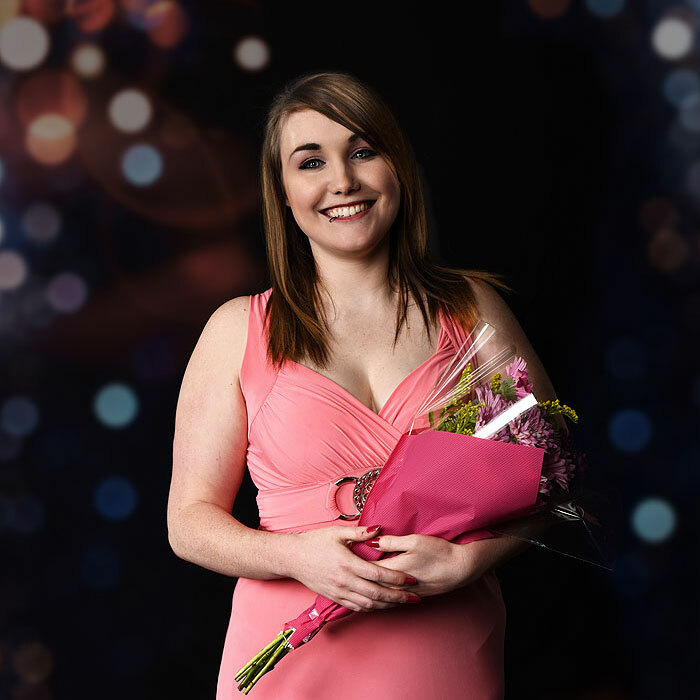 However if you would like a professional makeup artist to do your makeup then please let us know and we may be able to appoint one for you for an additional fee (subject to availability). • Horrify Me will supply all the fake blood and a bunch of flowers, so you will not need to bring any of this.